Update 29.3.2016: I updated the information regarding Windows 10. Update 1.11.2016: This article is very popular, so I added some more information, mostly to Windows 10. Update 8.2.2017: Added link to battery information tool article. 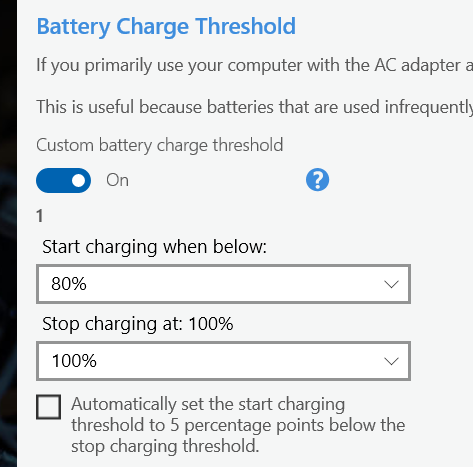 I use charging thresholds to lower the percentage when the notebook starts charging, usually to about 60%-80%. I unplug my ThinkPad from AC power for short periods, and then use it again by plugging it in. These interruptions are often short meetings that only drain the battery a little bit, but enough to trigger a charging should I plug it in again (10-20%). By using the charging thresholds, I wanted to prevent the battery from being constantly charged. Charging all the time – in my experience – ruins the internal meter of the battery quickly, requiring battery gauge resets. So it does not really stress the battery but causes symptoms that then need curing, should you wish to use the notebook to it’s full potential. Fully charge the notebook (stop at 100%). The reason for choosing these settings is that 80% is still acceptable should I choose to use my notebook away from power. And it allows for a short meeting without the notebook charging back up again. But below that I want it fully charged again, so I am ready to be away from the power adapter. In Windows 10 you use the Lenovo Vantage app to change charging threshold. You should find Lenovo Vantage in your Start Menu. If you cannot find it, you can download it from the Windows Store. 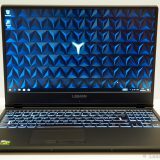 You should set your charging thresholds in Lenovo Vantage currently! To get started, first you need to access the power options. Once upon, scroll down to the Charge Threshold settings. It might take a little while for it to work properly – Lenovo Vantage seems to be loading some settings in the background. By default, charging thresholds are turned off. Flip the switch – and again, wait for the detailed settings to appear. It can take a second or two! When turned on, you can set both when to start charging and when to stop charging. What if I upgraded my old Windows installation to Windows 10 and I have previous thresholds set? Am I stuck? If you install Windows 10 while you have set charging thresholds, they will still be in effect after the upgrade. 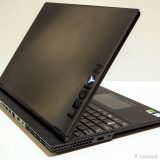 You will then need to install Lenovo Vantage, and use that to manage your thresholds. How can I reset charging thresholds? If you want to reset your thresholds without using the registry or the app, turn off your ThinkPad and disconnect your battery for a few minutes. Then reconnect and start charging. This should reset the charging thresholds. This is a problem with integrated batteries – for these systems disconnecting the battery using the BIOS might do the trick. I have not verified this, however. On Windows 8 and 8.1 the Power Manager is not officially supported. Using some compatibility mode trickery you can make it work, but it will not be able to set the charging thresholds. Instead, you need to set them in the registry yourself. These will get written to the battery on next reboot. For the ChargeStartControl and ChargeStopControl values set them to 1. For the ChargeStartPercentage, specify the percentage of charge after you want charging to start. This is the value you would set to 60 if you want charging to begin when the charge goes below 60%. For the ChargeStopPercentage set the percentage you want charging to stop at. This could be 100 if you want the battery fully charged, or something lower if you do not want to charge the battery all the way. Set everything to 0 to restore defaults. Changing these values with not take effect right away: you need to reboot your system, and these values are then written to the battery at reboot. However, reinstalling / updating the Settings Dependency Package will reset these settings. You will then have to specify the values again, and then reboot again for the settings to be applied again. Not at all an ideal situation. On Windows 7 you use the ThinkPad Power Manager software to set the charging thresholds. You can set when to start charging and when to stop charging. The defaults are: start when under 96% and stop when the battery is full. To access charging thresholds, you need to switch Power Manager into advanced mode. Then you access the charging thresholds from the battery options. 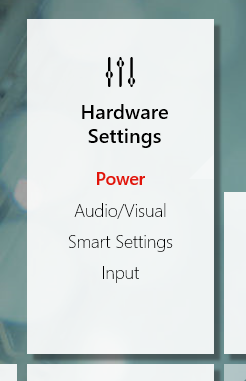 The Lenovo Settings application is replaced by Lenovo Vantage. I will leave this section here for those still on older systems. The Lenovo Settings application that you install from the Windows Store has now a fully configurable charge threshold section. If you want to use it, you will need both this program and another set of helper programs (Dependency Package or similar name). The Lenovo Settings app you can get from the Windows Store, and it should prompt you to download the other needed component when you run it for the first time. While previously this was not fully featured (before february 2017), now you can set it up the way you like. So no more need to fiddle around the registry to have fully custom settings. I have not verified if this is still working with the Lenovo Vantage application now available! If you have Lenovo Vantage installed, I suggest you use that to manage charging thresholds. If you do not want to use Lenovo Settings, you can still enter the settings manually. It is similar to the registry method that I described above, but involves changing different keys. 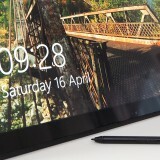 The method was first published on Lenovo Forums. The four values are the same as before, and you should set them in the same way. They might be missing, in which case you need to create them. If you are missing the entire key (batteryserial), you will need to install Lenovo Settings to have it create the appropriate keys. 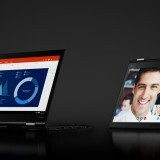 Just remember that if you open Lenovo Settings or update the dependency package, it will reset the settings right away. The only way to restore them is to enter them again, and reboot. 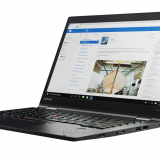 I verified this with the ThinkPad X1 Yoga, and it works. It’s a little slow because you need to reboot for the new values to take effect, but it works. It works on ThinkPad w530 /Win10/64 as well. Thus, the Lenovo Settings application had to be installed and the custom battery charge threshold option had to be enabled. After restart the charge control worked again. 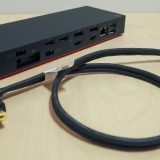 Hi, I recently bought a used Thinkpad T430s which I want to use plugged into an AC power most of the time. I’ve read a post in Lenovo’s website regarding this issue https://support.lenovo.com/pe/es/documents/ht078208. Here it suggests to set custom charge thresholds to start charging at 40% capacity and stop at 50%, and keep the ThinkPad cool. I was able to set it up but when the battery status reaches 50%, it remains at 50%. My question is if I have to unplug the AC power once the battery reaches 50% and plug it again once it is at 40%. I thought Lenovo’s app would take care of it automatically. It works as it should: when you set the charging to stop at 50%, that is exactly what it will do: when the battery is half full, charging will stop. You can then use the notebook plugged in, it will not charge more. 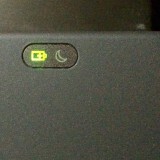 If you use the notebook only on AC power, it will very slowly start dropping charge. Maybe in two – four weeks it reaches 39% when it will charge again, back to 50%. While this method saves your battery life, it will be a problem if you do want to use it on battery – since now you are only getting half the battery. It is a compromise just as the article you reference says. Lenard, thanks for replying. I now see why the battery indicator remains at 50% However, I now do have concerns about the compromise you just mentioned. Does it mean that if I ever want to use the battery at 100% capacity again I won’t be able because within time the battery won’t hold a 100% charge? do you mean that once I pick custom charge thresholds there is no way back? shouldn’t I switch to the 96%-100% default setting if I ever feel in the need for, so I get a momentary longer runtime ? By the way, is there a distinction between different thresholds like 40%-50%, 50%-60% and 60%-70% considering that in all three scenarios there is a 10% difference? That being said, would you explain me what was your purpose when setting the thresholds to 60%-100% as well as the advantage of this setting. How has it worked for your meanwhile? P.S. It’s really interesting to realize the missuse that I have given to my previous laptops’ batteries. I don’t know if there is a difference between 40/50, 50/60 or 60/70. I guess they are basically very similar. The compromise is in the fact that your battery will be sitting at 50% most of the time. If you want to have it full, you need to set the threshold again and then wait for it to charge up to 100%. So you do not have a battery at 100% all the time, ready to be used. It doesn’t mean you cannot change the thresholds later, or that you would loose charge in the battery. It is just a decision you made, and that you can change later. What I have found is that using the default setting of 96/100, which is probably similar to what every notebook uses by default, it will wear down the wear level of the battery faster. Meaning that 100% charged will not be 100% battery capacity, but less. Some of that wear you can “make go away” by doing a battery reset every couple of months, but it will not go away completely. For example my X1 Yoga has currently 5% wear. It means that even when it is at 100%, it is actually only at 95% of the original capacity (or design capacity). Mind you, this was at 9% a little while ago, but a battery reset brought it down to 4%, and now it is slowly creeping again. The 96/100 setting increases this wear faster, or so is my observation. I use 64/100 now. 64 is just my pick of a number between 60 and 70. I often take my notebook to a quick meeting or use it away from the AC for a little while, and then come back to my docking station. The idea to drop the lower threshold is that I do not want the battery to charge all the time when I plug it in again after these shorts periods away from power. I can take several short meetings with it, without it charging all the time in between. It works for me, because I rarely need the whole battery. But if I know I would be travelling or need the charge, I just make sure I have it up to 100% the day before. Sure, Lenard. You’re explanation about the thresholds has been very helpful and insightful for me. Thanks for taking your time to reply. I wonder how frequently you reset your battery. I did it last week just after I got my used Thinkpad T430s, and in fact now the power management utility shows me an improvement from 38.2 Wh to 42.19 Wh when the design capacity is 44.O Wh. However, the runtime I get at 100% charge is around 2.2 hours when lenovo claims that you can get up to 7.3 hours with the standard removable 6-cell battery that I’m currently using. 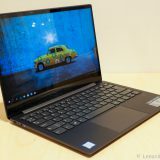 I know it is unreal to expect getting what lenovo claims. However, I contrasted this information with another user, who bought a brand new T430s, and he told me that his runtime was around 6.5 with normal usage at medium settings like brightness, so I ask myself, if according to lenovo power management utility my 6-cell battery is in pretty good condition, why do I get as little as 2 hours? do you know what other factors could have affected my used battery? I’m now doubtful if a brand new replacement battery would give me a more reasonable runtime. One of my observations when using my Thinkpad is that the battery indicator shows values that fluctuates from 2.3 hours to 3.5 or 3.7 hours randomly but at the end it only lasts around 2.2 hours. By the way, I do no demanding work, I just review PDF files, do typing in Microsoft Word, web browsing and probably play a occacional youtube video in my spare time; the normal stuff! I also use medium brightness or lower, if I don’t use the screen for a minute it turns off and I do no gaming. I use this machine for college stuff at home puggled in AC power, but It would be nice to have a powerful battery if I need to use it outdoors. Unfortunately the battery threshold settings I talk about in this article only apply to ThinkPads. I am not aware you are able to do these settings on other Lenovo systems. Hi, I thought you might care to know that some of this works on more than just thinkpads. I have a Flex 2-14, which started out as windows 8, then upgraded to 10 (at which time it had a working power gizmo to set and unset the mode), then I did a fresh install of 10 and discovered the issue that it was set to only charge to 60% and no apparent way of switching that off. This is an integrated battery model, so the unplug-battery fix isn’t an option. 3: Install Lenovo settings from the app store. There’s some odd behaviour because when I switch to the battery screen in Lenovo Settings at first the setting is not available (it’s just not on the window), but if I just wait a while (up to about 30 seconds), without doing anything or clicking anything a whole new load of stuff appears in the window, some of which is a pane with a switch to switch the mode on and off. Those keys aren’t in the registry though, so it’s storing the information somewhere different, but I can at least choose now whether to charge to 60% or to 100%. 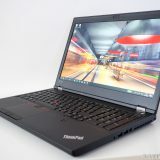 Charging threshold with the Lenovo software only work on ThinkPad branded notebooks. 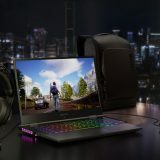 For Ideapad, Yoga, Legion and other notebooks, there is currently no method I know of, that allows the user to set the charging threshold. @lenard, the Lenovo Settings app has been discontinued and rolled into the Lenovo Vantage app (https://www.microsoft.com/store/productId/9WZDNCRFJ4MV), which does have the Charge Threshold settings. So you might want to update your post to send Windows 10 users to the Vantage app instead. Thanks John! I actually use the Vantage app myself nowadays. Will need to update this post. 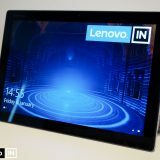 I updated the article to include information about Lenovo Vantage, also reordered the OS:s so the Vantage information comes first, as more and more people will be using Windows 10. This is still one of the most popular articles on my blog! 🙂 So it’s worth to keep it updated. Cool, thanks! I noticed that Lenovo Vantage sets up a bunch of Scheduled Tasks (Task Schedule Library > Lenovo > ImController – look in root and subfolders) as well as a service called “System Interface Foundation Service” that’s set to Automatic, so if you don’t want those eating up resources, you might want to disable the tasks and set the Service to Manual. hi, i am unable to find the battery serial number in Lenovo Vantage, is there another way to find this out – from Device Manager or RegEdit? Thank you for sharing this information it was useful and interesting. Lenovo Vantage doesn’t allow setting (from the UI) a “start charge” threshold < 40%. Personally I prefer having it around 15%. This practice (among others?) helped me greatly reduce battery wear with my old T530. I had around 70-75% of the original capacity even after 6 years. You can modify a registry setting to achieve this. Using regedit: HKEY_LOCAL_MACHINE/SOFTWARE/WOW6432Node/Lenovo/PWRMGRV/ConfKeys/Date/ -> ChargeStartPercentage. After modifying this maybe a restart is necessary. 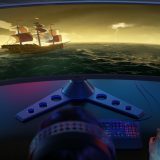 Note that the Vantage UI will still display 40%. But the new setting is used, and you can confirm this by clicking on the battery toolbar. In the small popup, on the right hand side, next to the battery, the real charge threshold is displayed (15% – 100% in my case). Note: the setting from Lenard’s post still exist: HKEY_LOCAL_MACHINE\SOFTWARE\Wow6432Node\Lenovo\PWRMGRV\Data. But it doesn’t seem to be taken into consideration (at least not in my case, w/ Lenovo Vantage on Win 10).